Extremely compact high tech printer optimal for dual lane non-stop production. 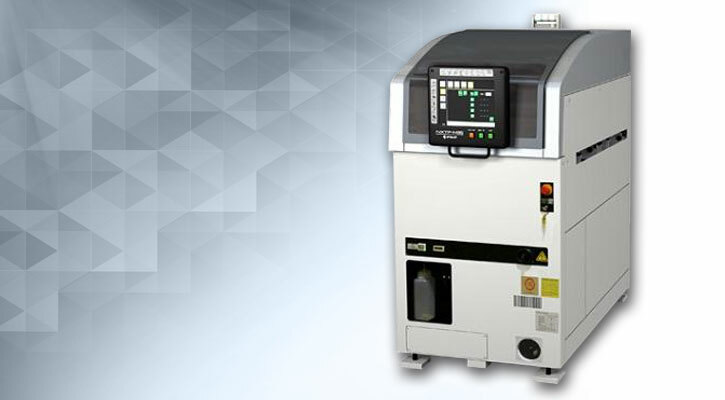 Our NXTP-25 is less than half the size of our GPX-HD, ensuring maximum use of factory space. Units can be positioned back-to-back for even greater space savings. 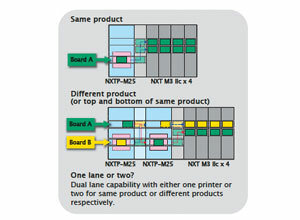 Dual lane support gives the NXTP the flexibility to meet all of your production needs. 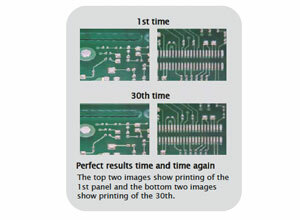 One printer can be used when producing the same panel in both lanes. 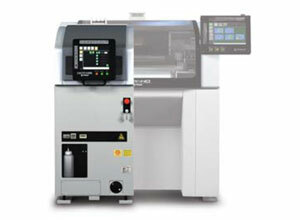 Alternately, two printers can be installed side-by-side when producing different panels. A more rigid body means less movement when printing and ensures higher quality and consistency. The mask is secured by vacuum during printing to prevent any deviation of the position in relation to the panel. This also improves contact between the mask and the panel for improved printing quality.